Join the citizens of Prairietown in celebration of the country's 60th birthday! Celebrate the Glorious 4th with the citizens of Prairietown! 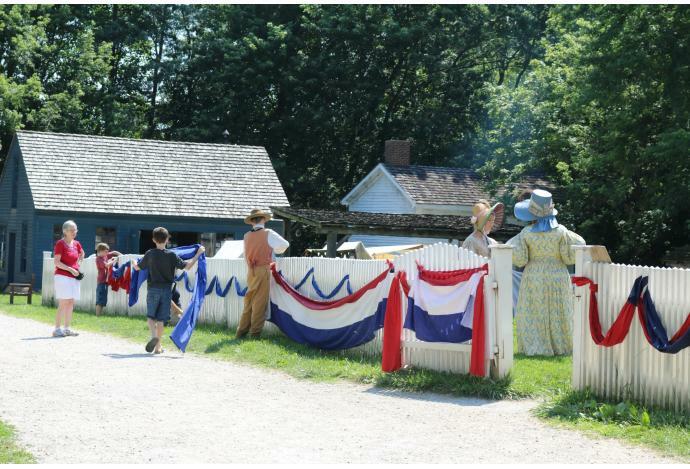 Help to decorate with bunting, compete in a Strongest Farmhand contest, test your knowledge with a history quiz at the Schoolhouse, enjoy a patriotic presentation in the Prairietown Grove, and muster with the local White River Guard militia. At the end of the day, gather at the Golden Eagle to join in lemonade and toasts to the Republic's birthday!